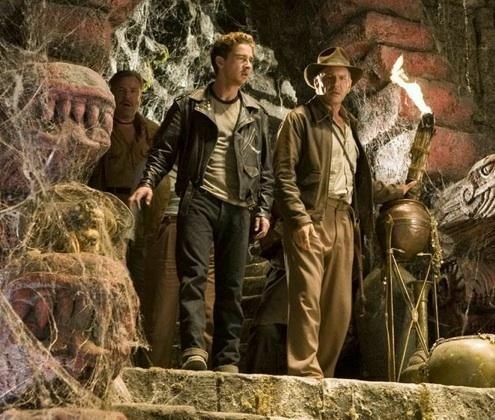 If you’re a fan of the Indiana Jones franchise, September is a great month. Not only did Raiders of the Lost Ark get a special one-week IMAX release, but the entire franchise hits Blu-ray next week and the box set is loaded with incredible behind-the-scenes extras. For a full list of what’s included, click here. But trust me when I say, this is a set absolutely worth owning. 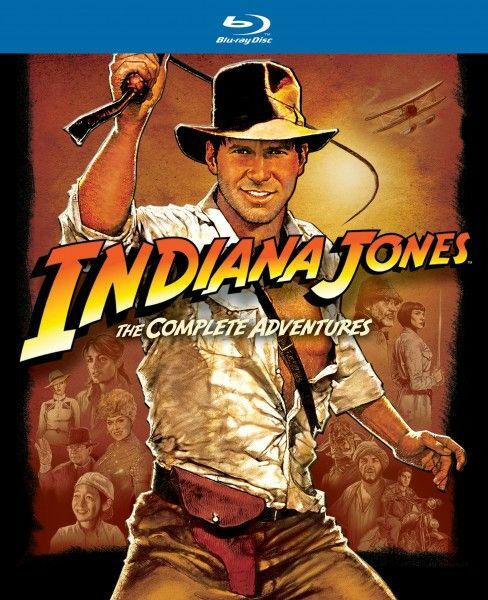 Click here to order Indiana Jones: The Complete Adventures on Amazon. To help promote the release, I recently got to visit LucasFilm in San Francisco and participate in a group interview with Sound Designer Ben Burtt and Visual Effects Supervisor Dennis Muren. They talked about their thoughts on how the films hold up, the visual effects, their favorite moments, how Burtt came up with some of the signature sounds, if anything changed during the restoration process, and a lot more. Hit the jump for what they had to say. Question: Dennis, Indiana Jones has been synonymous with huge action adventure blockbusters. How do you think the imagery of then holds up to today’s standards? DENNIS MUREN: I don’t know if you want to compare the images of then and now, because I think the old ones hold up very well. Having been there and, lived through it, there’s just something in the reality of it that usurps any technical problems we might have had in those days. And it gives it a very hand feel, look to it. I think the movies hold up extremely well, not that the newer ones aren’t good also. But, the smell and the feel of all the effects material, I think, fit with the rest of the movies. If these movies were all made in the studios that would be one thing, but with those real locations, with the reality of everything, I think it really helps that the effects are all real things also. The visual effects were as much a character in the film as Harrison. Can you speak a little bit about that? The visual effects were really a strong part and really carried the film as much as anything else. MUREN: Yea, I guess so, but I mean Harrison is the movie; we were supplementary to all that. But they’re important because what George and Steven always wanted was to experience a hyper-adventure that this guy is wild and crazy enough to get into. So the effects were there to supplement that, and to go beyond what was going on probably in the James Bond movies that were pretty much rooted in reality, and there are times when you can get out of reality and have a real thrill ride adventure. That’s what they were going for in this film, and that’s where the effects needed to come in to do things that just couldn’t be done for real. Ben, we had a conversation earlier about the auditory language that existed pre-Indy. The one thing that wasn’t out there so much was the mix between what is historically accurate—what would really be there in that place—with the supernatural and something that’s a little more mystical. Can you comment about what it was like to embark on the journey of the Indy properties? BEN BURTT: I had started off in my career with Star Wars, and of course in Star Wars the sound was being attached to give credibility to a highly imaginative universe of characters, places, and things. And then along came Indy, and the action adventure genre was my favorite. The films that this series pays homage to are the films I loved growing up; the westerns, the adventure movies, the Tarzan movies, the Gunga Din, that sort of thing. So I was so excited to work for it. I knew that the sound effects in those classic movies, as they are today, almost all the sounds in the films are added after the fact; they’re not the sounds that are recorded during the filming because you want control of the sounds later. Of course, there’s no appropriate sound on the set anyways that is right for the final movie. So my job and the team I work with is to create all that and add it in. We could have gone to a library at any studio and gotten face punches, fire explosions, trucks, these things have been in movies many times before and they were good recordings. But, what I wanted to do was not do that, but to build our own new customized Indiana Jones library, which would have its own signature. But conceptually it would be based on my favorite sounds from the classic movies of the past. I would study the gunshots in all the movies that I loved, and I would say, “how did they do it? How can I make something that is better, but pays homage, owes its origins to what has been movie language up to that point? 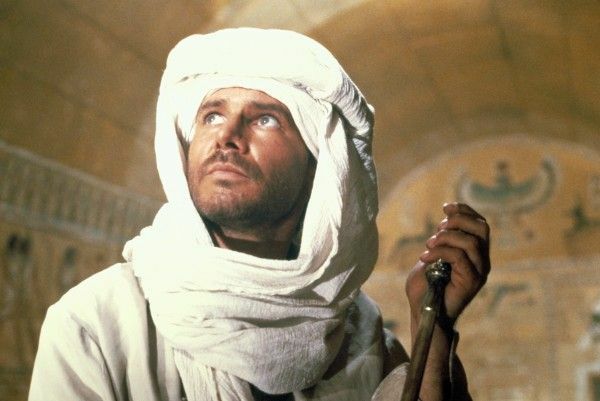 Because so many things about the Indiana Jones series were new visions of things that had existed in movies before, but now put together all under the adventures of one character. So we set out to record everything all over again; new fire, new explosions, new body falls, new truck skids, new snakes, whatever it might be. Then on top of that level of reality, there was always the mystical and supernatural elements of these films; the crystal skull, the Shankara stone, the Ark of the Covenant. In order to portray the sounds for those objects, these were the supernatural things, maybe a little more like Star Wars in the sense that they related to things that were unfamiliar, alien things that were new, and we wanted to give those objects an expressive voice as well. That was also my department to try and come up with sounds for all of that. So there was both the science fiction element, or the fantasy element of the sounds, as well as the reality based element. So there’s always the question about going back and seeing how the sausage is made. I would imagine that going back and looking at some of these films for each one of you evokes certain memories, probably very different than the memories that we all may have from the first time we saw them. Dennis, I want to ask you are there some favorite moments that you want to share? 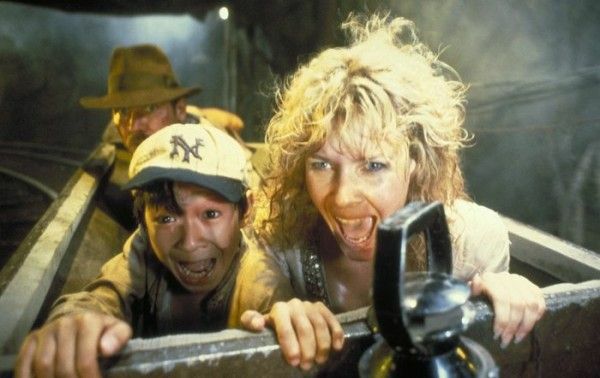 MUREN: Well Temple of Doom is really, really memorable. 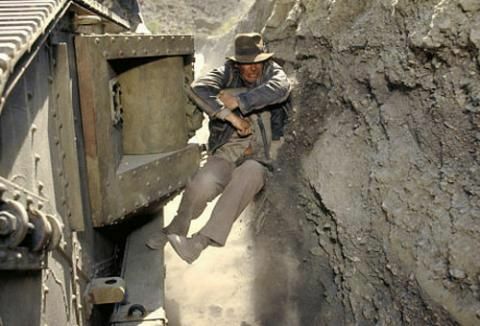 We had the big mine chase sequence in that, which was very difficult. These shots go on and on going through this tunnel, and of course they couldn’t do it for real. They had a nice tunnel they could get some shots with, but not the distance or the length of travel that they needed to carry the dramatic effect. In order to build these long miniature sets, the size was depending on the size of the camera of all things, because the camera had to go through the tunnels. I came with this idea of using just a Nikon still camera. Instead of shooting with one of the bigger movies cameras, just use a still camera, shoot still frame after frame after frame. And these shots that only ran like four, five seconds anyway we could get that on one load in the Nikon camera and that meant that all the sets could be smaller, they only needed to be 100 feet long instead of 300 feet long. We didn’t have room in San Rafael to build anything very long anyway. It just saved a heck of a lot of money, which everyone was very happy about, because these films, no matter how they appear, were always on very, very tight budgets, and we always had to work within that. The work came out really great in that sequence too. The cave walls are aluminum foil, you know, heavy aluminum foil painted, and it’s all done with stop motion, or go motion, frame at a time motion. You know, it was really pretty neat. Then the other thing that was neat from my experience was I got to act in one little sequence in Raiders of the Lost Ark, which was when Harrison goes on the airplane, and there’s a spy who’s in front of him reading this Life magazine, and that’s me. I’ll tell you, that is the weirdest experience going from behind the scenes, to being in front of the camera with Spielberg looking at you here, and Harrison’s over there, and it’s like what the heck am I doing here? We shot it over in Richmond where the plane was, and the plane actually couldn’t fly, but fortunately it was near by and we went over and shot all of those scenes in one morning. That was a pretty darn neat experience. I thought it would lead to bigger parts, but actually it didn’t. I heard he gave Harrison a run for his money, that’s what I heard. MUREN: You should have seen what they cut out. Well along the same lines, Ben, whenever I talk to you I am always thrilled because I know I’m going to get a fantastic story from you. Are there any particular memories that you have from any moment in the film? BURTT: Well since we go on expeditions to gather the sounds, or we invent special props, there’s always a story for every sound. Dennis mentions the mine car chase, we wanted the sound of these cars clattering down the tracks and squealing around corners, and we thought perhaps is there any place we could go that we could record something full size like that? We ended up making arrangements to go to Disneyland at night when the park was closed and ride all of the roller coasters and record them. So we would go into space mountain, turn all the lights on, turn the music off and ride in the cars or stand along side the track, and get them squealing around the corners. Gary Summers and I were working together on that, gathering all of these, had a wonderful all night Disneyland experience: Big Thunder, Space Mountain, the Matterhorn. All of them completely out of context with the lights on so you could see all of the behind the scenes stuff. That was fun. Right here on the ranch, it’s interesting, at the time of Raiders of the Lost Ark this building didn’t exist, in fact there were no buildings on the Ranch, it was just an empty property. Gary and I used to come out here every afternoon when it was quiet and there weren’t birds or frogs to interfere with recordings, and we would stage sound effect events here at the ranch that we needed for Raiders. When you walk out the front door you’ll notice up on the hill here a big rock outcropping, we spent a day laboriously carrying rocks and gravel and everything we could find to the top of that rock outcropping and then we shoved it down the rock face and recorded all the tumbling rocks and dust and grit and we have used or derived from that recording just about every rock effect that you hear in these movies when things are collapsing or a temple falls apart, you’d slow the sound down. Right here where this theater is now today we had a shooting range. There was a gulley here and some old cars down in it. We brought out some of the explosive guys from ILM and we blew things up for a while to get a lot of explosions. We found that this canyon here, right where this tech building is today, was wonderful for acoustics because the sound would slap back and forth, and we did all the gunshots that you’ll hear for Indy’s gun. We did it with much higher-powered riffles. Of course everything in Indiana Jones is exaggerated so his pistol’s not just a little 38-caliber pop, we would have used a howitzer if we could have brought one in here. We made some gunshot recordings here, slowed them down and beefed them up a lot to get these sounds. We did all the ricochets here, and there’s a lot of stories about trying to bounce bullets around. In fact, we got in trouble here because we had some machine guns and we didn’t tell anybody what we were doing, and we got a little carried away just shooting things, shooting the ground and other targets with live ammunition. We had some people from LA come up, Stembridge gun rental, so we had a permit, but we didn’t tell anyone. So finally a bunch of headlights come down the road here, we were doing this in the evening, and people wanting to know if we were terrorists or something, and they didn’t understand. The neighbors were complaining I guess. In any event, this was our recording studio, this outdoor area here, and so much of Raiders material was done right here. We brought a truck up here and I would run and throw myself against the hood of the truck for Indy banging on to the hood. Gary Summers did the whip cracks on the road right here next to where this building is today and we would get the echo and the trees. So these are very pleasant memories about deriving sounds. There were hundreds of things we had to gather like that, and it’s wasn’t just the simple matter of getting the right technical recording, its all about finding the right performance and the right acoustic location. We would tend to do things outside because there would be enough echo, especially in the trees that when you put that sound into the movie, it would really fit in the context of the location, the jungle or something of that sort. This is for Dennis, every new movie that comes along drives visual effects field further. 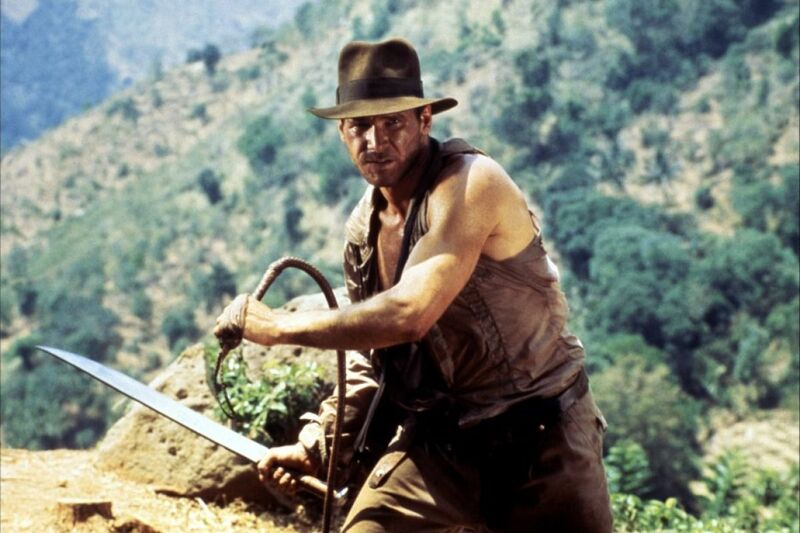 What was groundbreaking with the Indiana Jones movies, would you say? MUREN: Well, you know, it was having to cut in, hopefully perfectly, no sign of an effect in there, totally real, to not break the reality of it. That gets harder and harder to do with every film we did. So I would say on the artistic side, the attention to the detail, the reality, the feel of the Steven Spielberg directed scene, even though he didn’t direct the effects scenes, he certainly approved everything. That and probably some of the motion stuff we did with the mine chase cars moving so they didn’t look like they were stop-motiony or very much like a miniature hopefully. So I wouldn’t say it was like we invented a lot of new gear for it, it was more being able to use it in a way that was more pristine and more in the style of Steven actually out there directing the stuff for real. And that’s really hard to do; or else the shots could just pop and look like they were done by a second unit or something like that. By far my favorite sound effect in the Indy films is the punches. Seeing the film the first time in the theater there was nothing like an Indy punch, it was the biggest, most concussive noise I’ve ever heard. Where did the punches come from and what was your initial design for them? BURTT: As big as possible. There’s one part I’m not going to tell you because I have to protect a few things so I have future work—there’s always punches to be needed in the movies. Of course there’s body punches and there’s face punches, and they’re not so simple to do, because an actual face punch, if you’ve ever had one or delivered one, is not very loud. It’s usually the person going “Ouch!” or whatever. But movies have a tradition of something enormous, right? Going all the way back to the first punches in movies in the early 1930s. They started out using clapboards and things to make a slapping sound, a punching sound. What we did, was right here on the road we had a setup with a lot of baseball gloves, like catchers mitts and leather jackets and some football equipment and what we would do is – like for instance if you took a baseball bat, threw a catchers mitt in the air, and hit it with the baseball bat as hard as you could, you would get a good whack. We took pumpkins, one of my favorites, if you take a croquet ball and you put it in a sock so that you have kind of a nun chuck sort of weapon, and you beat the pumpkin to death every so often one of those hits out of the five or so is really good. It has that meaty sort of choppy sound. So a library was built up of those kinds of things and used for a body blow or kick. 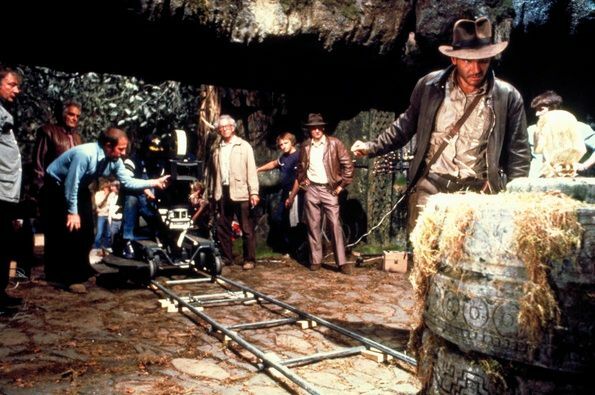 We reserve a particular set of effects just for the Indy films, you know, because we wanted it to be associated with Indiana Jones every time he swings his fist. By the time Crystal Skull rolled around did you want to embrace the old school methods when it came to sound? And when George Lucas told you he was going to build a building over his favorite recording spot were you dismayed? What was your reaction to that? BURTT: Well, you know, its true – just for fun a couple years ago I brought one of the guns back and I fired it here next to the building to record it to see whether it sounded the same here, and it didn’t because of the presence of the building. I was let down. You know, when we were initially doing those gunshots, we went all around the ranch; we probably went to 30 or 40 different spots because the whole key to recording gunshots is the location where you do it, the acoustics. A good gunshot is multiple syllables, kind of a slap and a repeat, but you also want to have some trees around so it gives a slow decay to it. You want to give it character. The best gunshots always have two syllables, I think. That’s one of the big mistakes that people make today they use one-syllable gunshots. That’s my opinion. MUREN: Let me just mention one thing about what Ben’s talking about here. Sound effects, even though I don’t do them at all, it’s something like what I do but in a different way, but sound effects it’s not like you go into GarageBand and just grab “bullet shot.” Some people would think you’ve got your bullet shot; you’ve got your punch. They’d put it in the movie and they wouldn’t understand why it didn’t have the effect. All the time that Ben is going for this take after take, 30 times going around the ranch, is that he’s hearing—first of all he’s got an idea, and then he’s hearing the result and then saying, “Yea, that’s good” or “No, that’s not good enough.” You’re making a judgment all the time, and that’s really missing in a lot of the stuff going on today I think. It is sort of like the GarageBand thing, just solution, boom, put it in. It should work. But not at all, you know? BURTT: Thank you Dennis, that was good, I ought to hire you for my next interview. During the restoration process, did you guys talk about bringing new sounds or changing the effects? MUREN: No, there was never any talk about changing the effects at all. BURTT: When it came to sound. 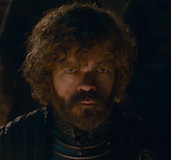 You know I’m an avid film historian and it would be very hard for me to change the movie in some way that really modernized it, you know, imposed an idea that didn’t exist at the time. What I did on Raiders for instance is that, we did some touch ups of things because we had to expand the use of the surround tracks because that was available to us now in a way that wasn’t available to us back then. The interesting thing is that some of the sounds that were in the original monaural soundtrack on Raiders, of course I had all the original stereo recordings of all those sounds, so fortunately I saved all of that and I could find it so I was able to go back and take time to match up the recordings with what was there in the release of the original movie and put them in stereo now. So I did add something to the movie but it was the same content, now just more with a spatial dimension to it. In the few places that we added a few additional sounds I took them all off the Raiders library, off the tapes, you know if we wanted to add what I thought were a few missing little body hits in one of the fights that we might have missed. And I took them off the same tapes that I had back in 1981. I wanted to make sure that what was done was still in the same fabric as what was originally there, because I didn’t want it to stand out or be different. I know there’s been some restorations of other films, because I’ve seen them on Blu-ray or DVD, in which they’ve actually changed the sound effects. They’ve composed something brand new into an old film and that really throws me off because I immediately recognize it and I wonder why they would do such a thing. So I didn’t want to have anything like that occur. Nonetheless, additions that we made to it—because there’s more space to put sound in a movie now, there’s just a bigger playback system and you’ve got more opportunity—we added material that was from the original library so it would be consistent. It’s interesting, because the original surround track for Raiders, you know Raiders obviously being the first on done, and it was done at the Golden mixing facility in Los Angeles before we had our own mixing operation up here. The surrounds in theaters at that time, in 1981, were very problematic. You didn’t know whether they would ever get played correctly, at the correct level, or if they would ever get played at all. So the original mix on Raiders, we did the mix just left, center, right across the front, you know, we didn’t use the surround track. We got the balance of music, effects, and dialogue right and got everybody’s approval, George and Steven, then as a separate mix, after that was approved, we began conservatively adding surround effects. The idea being that we knew the movie would work upfront and that’s what was going to be played in most theaters with more of a guarantee of it being played correctly, and if the surrounds worked then they would be a nice enhancement, but we didn’t want to put content in the surrounds that was essential to the storytelling; because it might be lost. That’s just because we knew at that time many theatres were just not going to be able to get it right. This is before THX existed or any of the digital revolution, which helped improve theaters. So now, going back listening to Raiders, we say “Boy, we were awfully conservative.” So now we can have a richer experience, so lets recreate it with the same raw material. And that’s what we did, put stereo music in the surrounds instead of monaural, and that’s one of the things that was done. Ben, what’s your thinking on frontal sound perspective versus a more aggressive, more immersive sound field? BURTT: Well, as time has gone on, we kind of predicted this, first as a joke years ago we thought, “Everything is going to move into the surrounds.” That’s what we kind of felt. And it’s kind of gone that way to some extent, because we had 5.1, then we had 7.1 and now we have 11.1 we did Red Tails in, and there’s the Dolby Atmos process, which is now being experimented with. I like it. 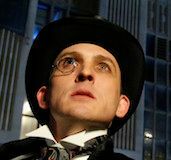 I like to make it a more immersive experience, I think audiences – once again it’s a learning curve too. At one time, when I first started out working in stereo, people would be distracted if something was in the surround, especially if they were sitting too close to a speaker, so you had to be careful not to put a line of dialogue right next to their head or something that would distract them. But as time has gone on and filmmakers continually move the experience forward, it’s always changing and evolving, we’re at a point now where we’re doing a lot more all around the room and we’re expecting it to be played that way, in home theater as well as theatrical. I think as long as it’s justifiable in terms of the content of the movie, I like that direction. James Cameron's JURASSIC PARK Would Have Been "Nastier, Much Nastier"